Corona, CA (September 23, 2014) – Corona® Tools and Alliance for Community Trees (ACTrees) are pleased to announce winners of Corona Cares™ Tool Grants to support National NeighborWoods® Month this October. National NeighborWoods® Month is ACTrees’ annual campaign to plant and care for community trees during the month of October. Each year, tens of thousands of volunteers take action to make their communities greener and healthier by planting and caring for trees—turning their neighborhoods into vibrant, livable communities. 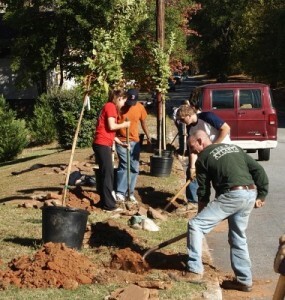 Local greening groups organize tree-planting events across the country and register volunteer opportunities at www.NeighborWoodsMonth.org. 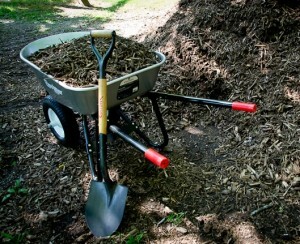 To celebrate the special 10th Anniversary of NeighborWoods®, Corona awarded 10 tree-planting tool sets—wheelbarrows, shovels, and pruners—to qualifying ACTrees member organizations.ACTrees members who registered their October tree planting and care events to be part of NeighborWoods® by September 1st were eligible to win. From the pool of qualifying organizations, nine winners were chosen by lottery. Volunteer with these organizations and other ACTrees members at www.NeighborWoodsMonth.org. One additional tool set will be awarded to the winner of the NeighborWoods® Photo Contest for a photo that fully captures the spirit of volunteerism this October. Alliance for Community Trees is a national nonprofit dedicated to improving the health and livability of cities by planting and caring for trees. ACTrees engages volunteers to take action to improve the environment where over 90% of people live: in cities, towns, and metropolitan areas. ACTrees member organizations have planted over 15 million trees nationwide with help from over 5 million volunteers. Learn more about ACTrees and its member organizations at www.ACTrees.org and follow us on Facebook and on Twitter @alliance4trees.